Your Community Health Needs Assessment (CHNA) will identify a large number of unmet community health needs. Since your health care organization will not be able to solve all these needs, priority setting is a strategic process that ranks health needs based on their perceived significance. 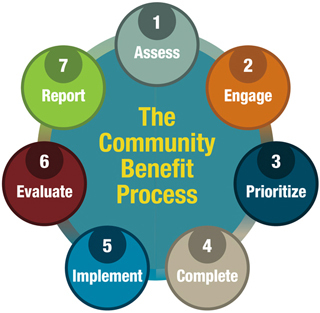 Priority setting links the CHNA to the implementation of community programs (Implementation Strategy). The IRS guidelines for CHNAs require a prioritized description of all the community health needs identified in the CHNA, as well as a description of the process and criteria used in prioritizing these health needs. The selection of priority areas on which to focus your community benefit programs will more effectively direct your charitable resources. Think of the prioritization process as a funnel where all of the identified community needs pour into the large opening, and only the priority focus areas empty out of the narrow spout. Firefox users: When downloading tools or resources, we suggest you download the PDF link and open the file in Adobe Reader. If you do not have Adobe Reader, click here.